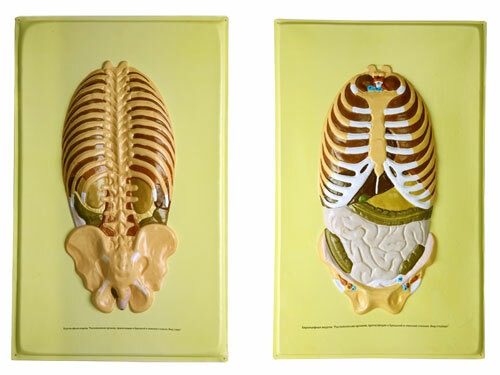 Bas-relief model on Relative positioning of human organs adjacent to abdominal and dorsal walls. Color and digital coding were used when designing this model. 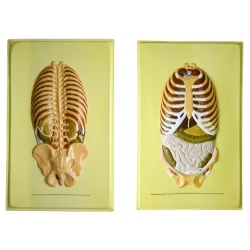 Bas-relief boards have special holes used for fixing on the board or special support.